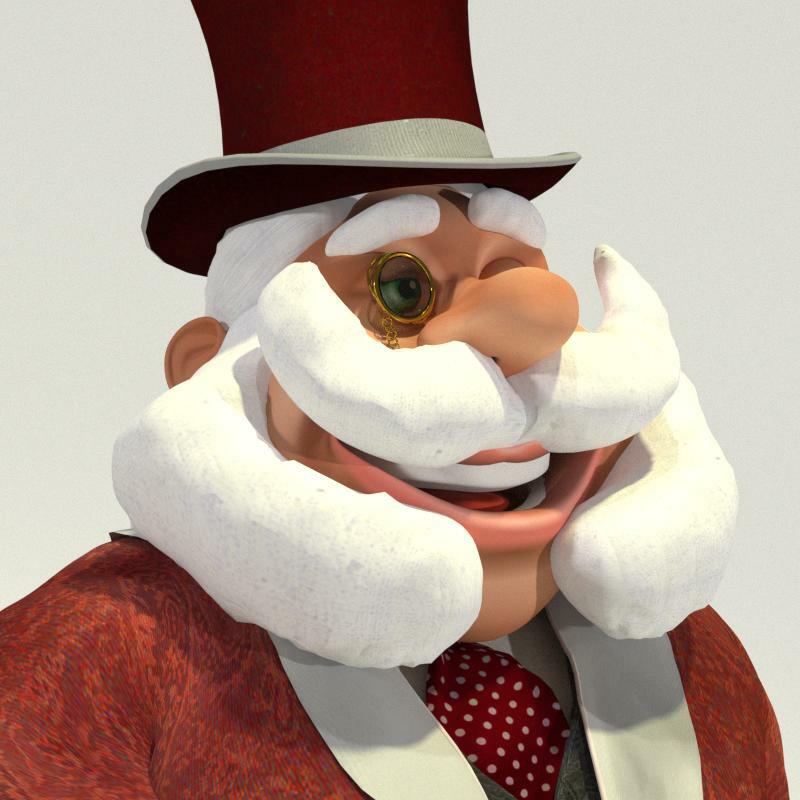 One way Santa knows so much about what goes on in the world is that he will sometimes appear in his Gentleman Santa disguise, which makes him a dead ringer for the Mayor of North Pole Village. 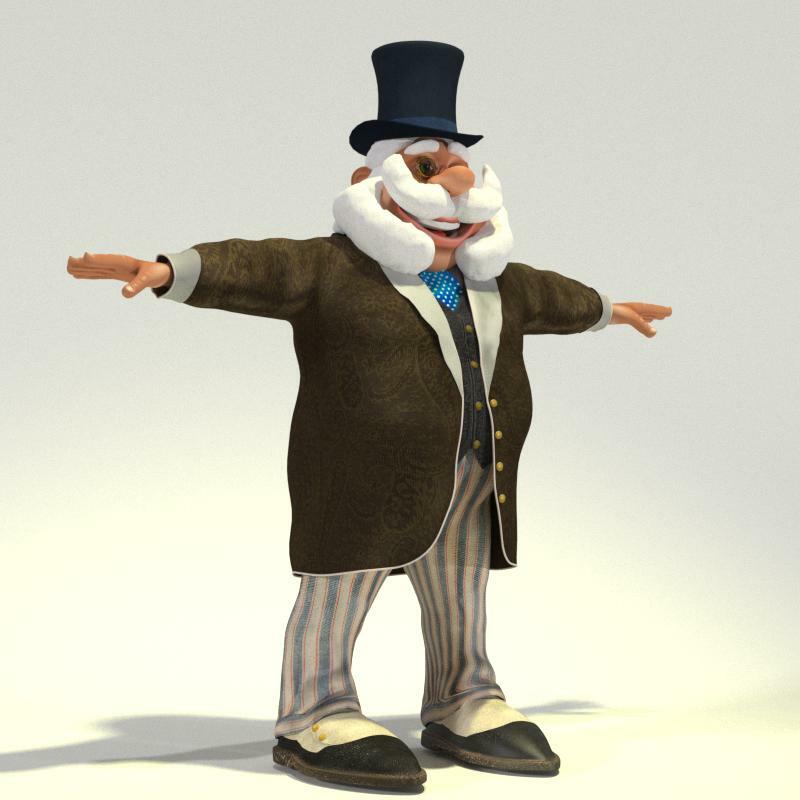 He also has a full head of hair, an original set of mustaches and full and fluffy muttonchops. 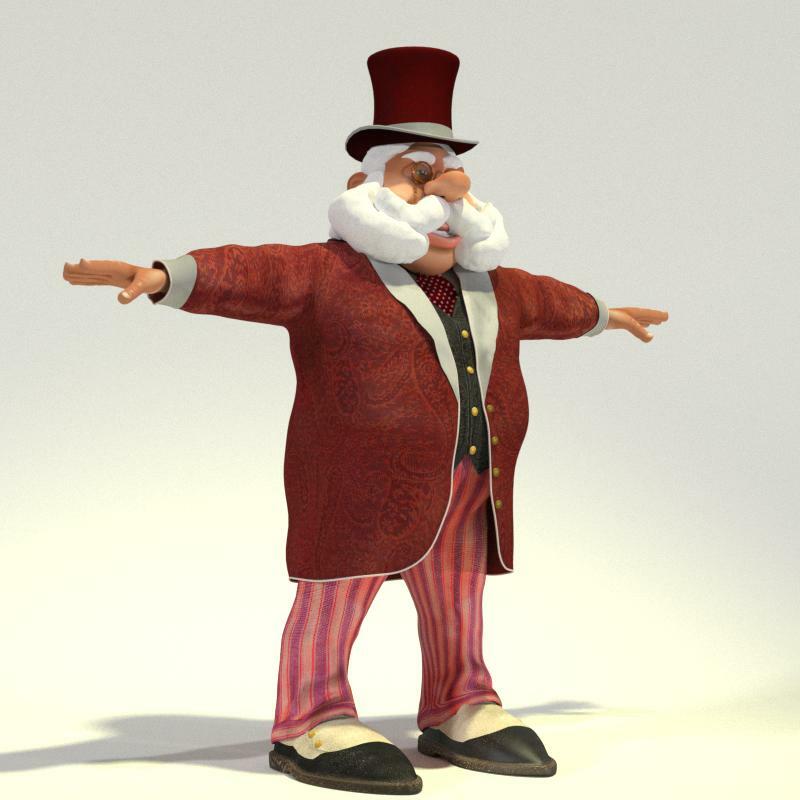 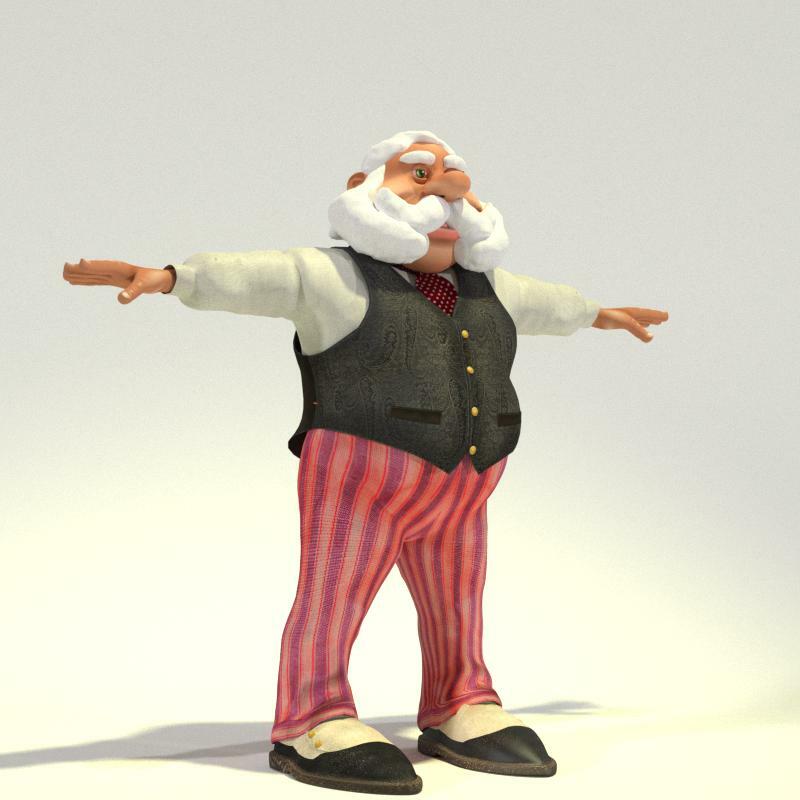 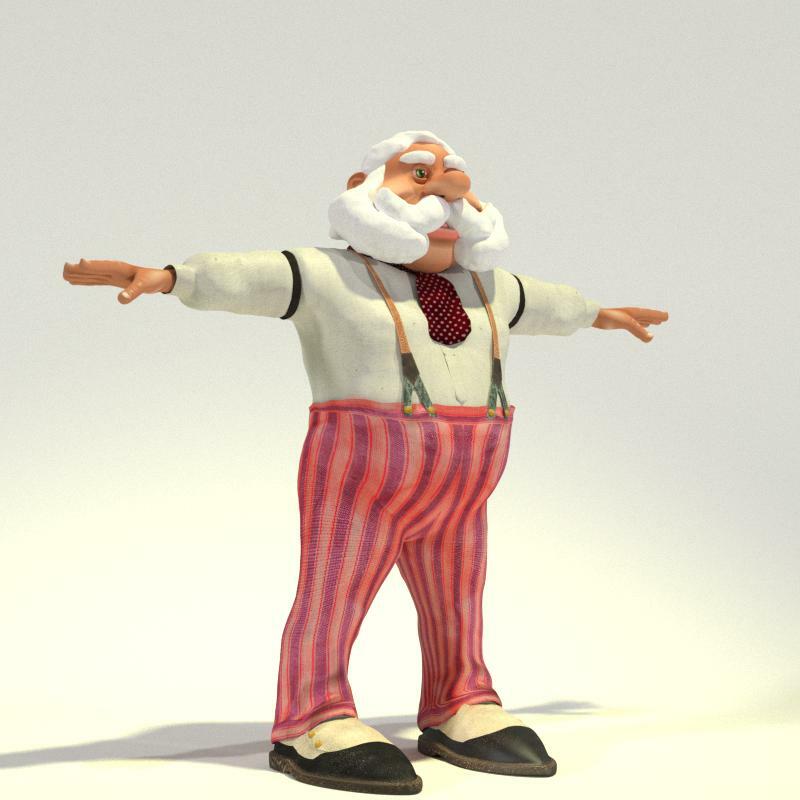 Gentleman Santa is also known as Toon Santa 12. 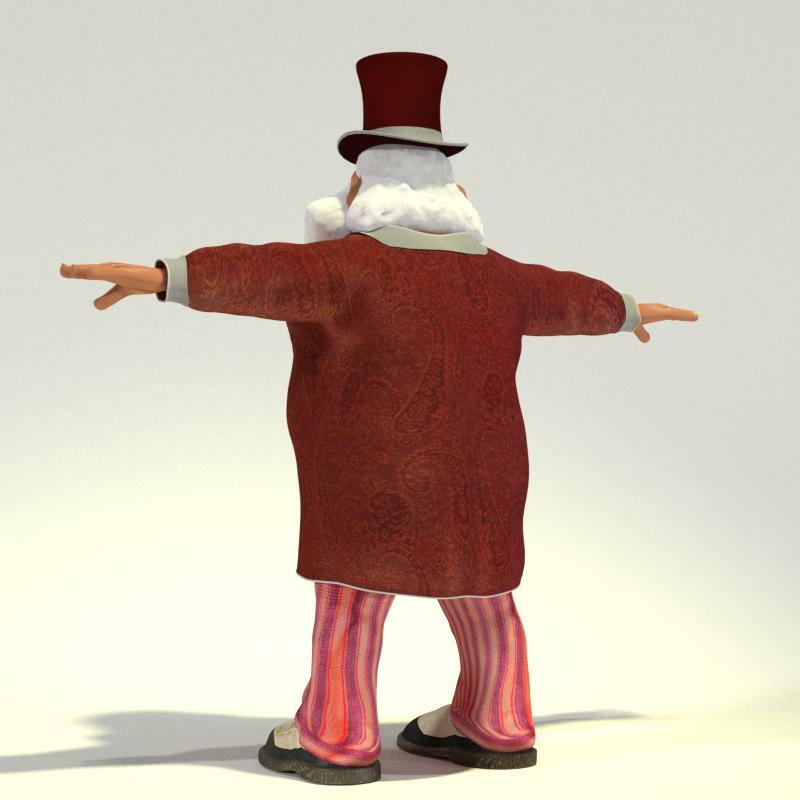 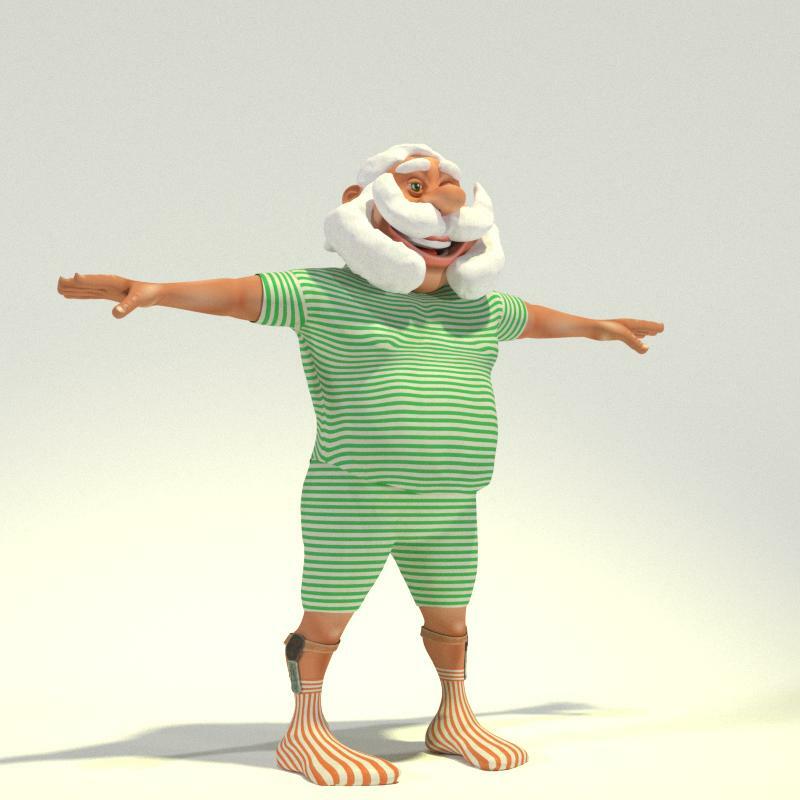 He is available as a stand alone model or as a part of the Toon Santa Complete Edition Release as of Christmas 2012. 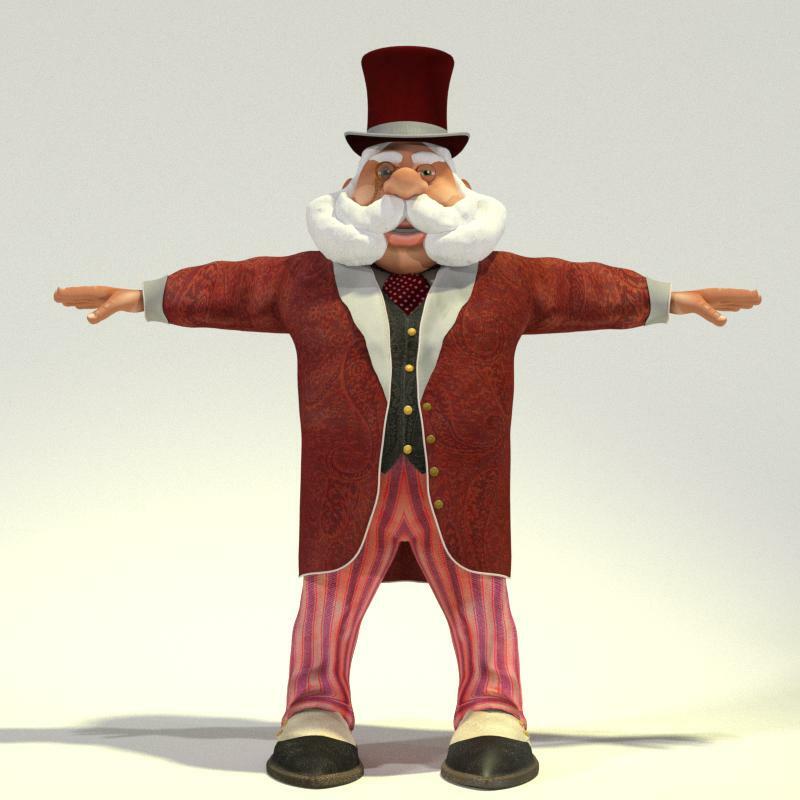 This is one of the most feature packed Santas! 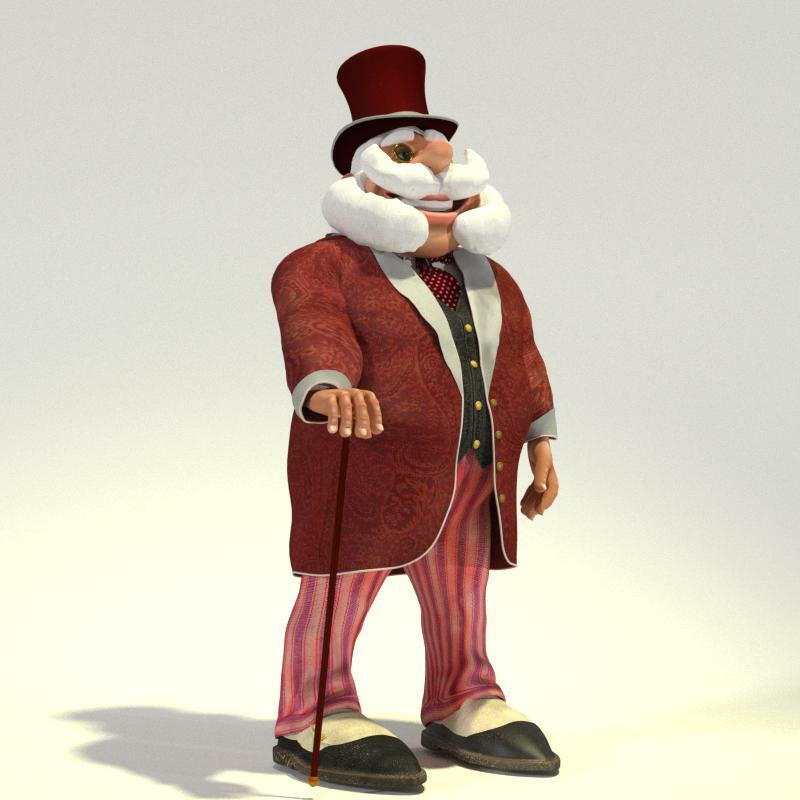 Most of the clothing includes two texture sets: Traditional Victorian and Christmas. 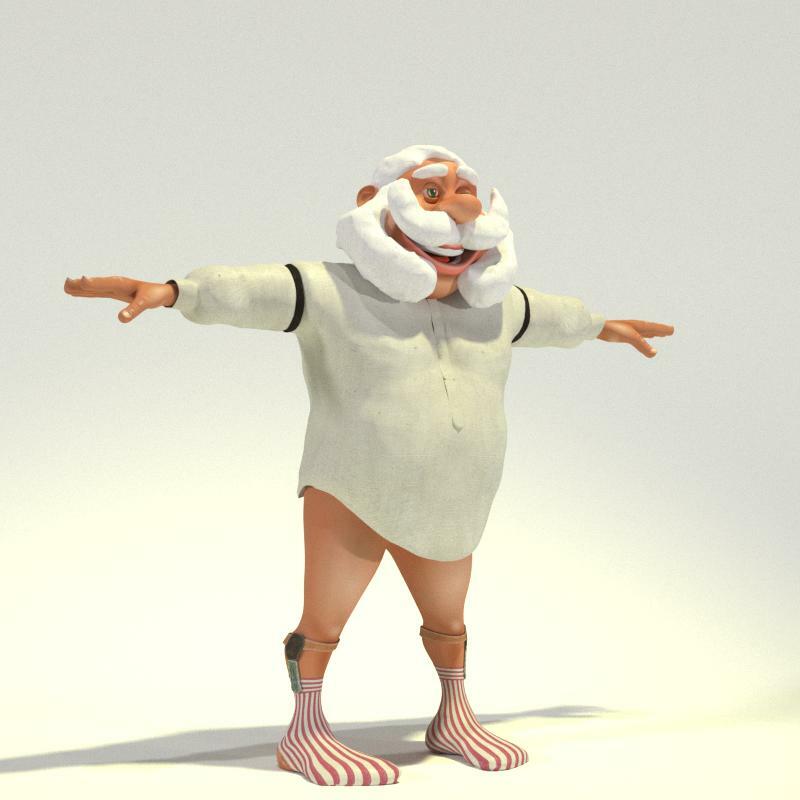 Gentleman Santa has a special pose called Wind Blast - try it!